The NHL’s Heritage Classic series is heading to BC Place on March 2, 2014 as the Vancouver Canucks will face the Ottawa Senators in the first regular season game to be played in a retractable roof stadium. Earlier this year five other cities were rumoured to host Heritage Classics and the Vancouver date was confirmed today. 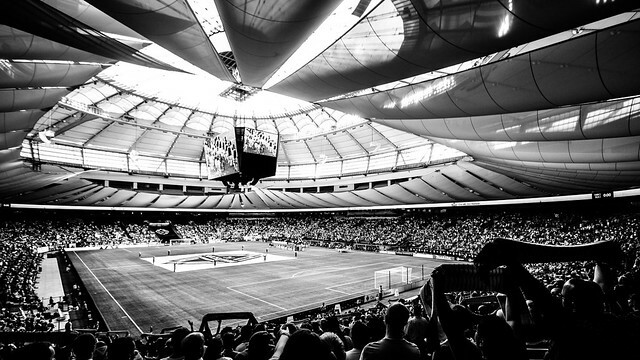 While I would hardly consider BC Place an “outdoor” venue (it would be like calling a car with a sunroof a dune buggy) its capacity of 59,841 will make it a very exciting game to attend. The most entertaining sporting events I have ever witnessed in person have been at BC Place so I hope that the enthusiasm that fans bring to Whitecaps and BC Lions matches will fill the stadium for this match-up on ice. With regards to the match-up against Ottawa, the Heritage Classic’s March 2, 2014 date will be just shy of the 99th anniversary of the Canucks defeating the Senators to win the Stanley Cup at Denman Arena in Vancouver. Further details including information on ticketing for season-ticket holders for each team and national broadcast information will be released shortly.